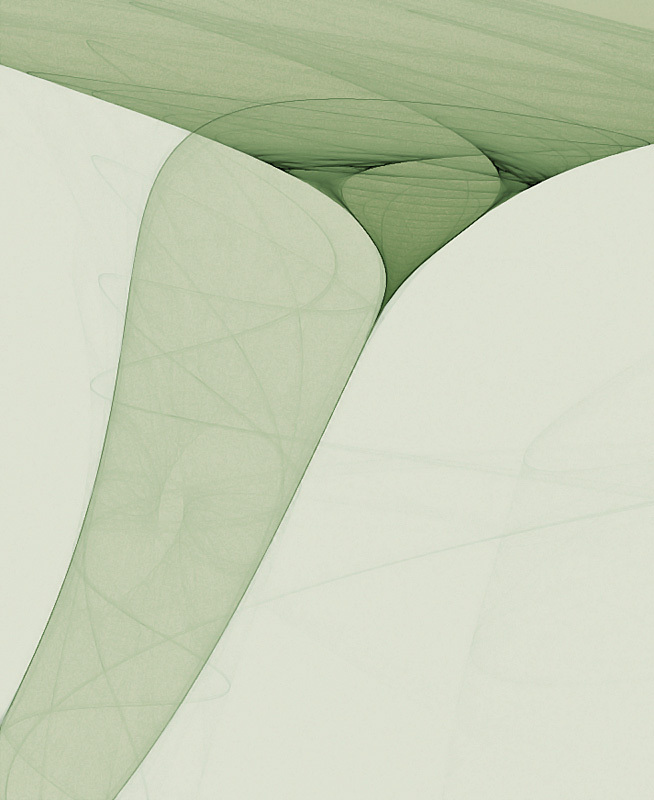 Posted on March 27th, 2010 in Strange Attractors. 1 Comment. Alluvial Fan by Nathan Selikoff. 2007. Dimensions variable. Open edition print. [Alluvial Fan’s] organic form and sweepingly lovely composition are enough to make me a fan. In fact, I’d love to see a series of three images based on the one above, a group of organic fractals if you will, each one with a different composition but all of them with the same sense of growth and calm. Dan, you may get your wish… it’s on my radar. I could see this piece being part of an elegant triptych in a modern hotel. Originally I had a mathematical name for this artwork (and many others), but part of what inspires me about this form is its resemblance to aerial photographs of river deltas and other geological phenomena. Perhaps it is a minimalistic interpretation of what this alluvial fan in the French Pyrenees looks like from above.